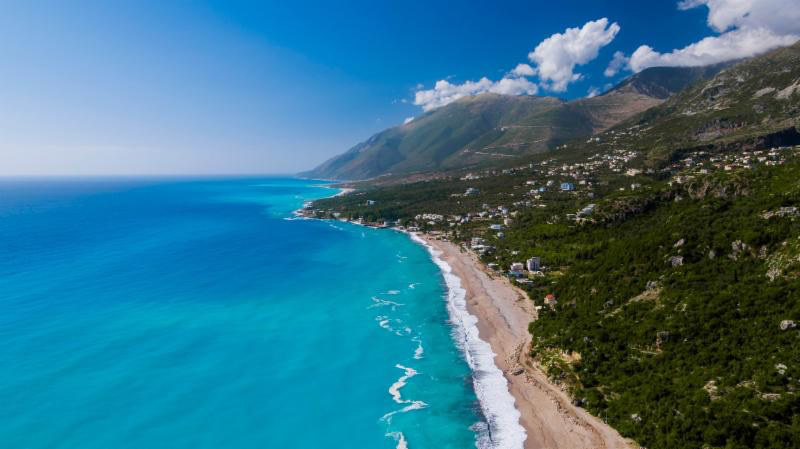 Kala festival announce the full lineup for their 2019 edition at the idyllic coastal village of Dhërmi on the Albanian Riviera from 12th - 19th June 2019. Carefully curated, eye-catching additions include extended sets by Hunee, Derrick May, Theo Parrish, Midland & Job Jobse, all of whom will play 5-hour sessions - a very refreshing offering for a festival, while François K, Sassy J, Jane Fitz, San Soda, Mafalda, Bjørn Torske, Psychemagik, Yu Su and D. Tiffany will offer genre-spanning selections across the week. Kala's programming also include a string of exciting live acts who will take over their idyllic open-air stage by the sea. Stunning live shows will come from party starters Hercules & Love Affair, modern soul songstress and Floating Points collaborator Fatima & The Eglo Live Band, the charismatic Mim Suleiman and her unique blend of East African heritage and Swahili lyrics with dub, jazz, soul and funk, as well as previously announced live performances by Inner City and Jordan Rakei. South London Jazz duo Joe Armon-Jones & Maxwell Owin, The Pilotwings, who will make a welcome return with a rare live performance, and legendary balearic duo A Man Called Adam will all perform special sunset sets at The Cove, an intimate beach spot lapped by the turquoise waters of the Ionian. Unmissable, extended sets will come from expert selectors Hunee, Derrick May, Theo Parrish and Midland & Job Jobse - Inviting Kala's party faithful on a mind-bending 5 hour journey through sound. Completing a diverse array of DJs playing across the week-long festival adventure are Chicago house icon, Honey Dijon, Body & Soul founder Francois K, sound-smith Sassy J, London stalwart Jane Fitz, notorious crate digger San Soda, NTS regulars Mafalda and Kasra V, remix experts Psychemagik, DJ collective Rhythm Sister and Norwegian disco hero, Bjørn Torske - returning after the success of his Gjipe beach and main stage sets at least year's Kala. Kala's music roster continues to draw from around the world. Three of Vancouver's finest underground upstarts, D. Tiffany, Yu Su and DJ D. Dee, join London club circuit regular Iona and a host of unsung selectors and local talent. True to its uncompromising music policy, Kala isn't afraid of giving prime time slots to rising talent - last year some of the most memorable sets came from further down the line-up and surely this year will be no less. Rounding off the line-up, previously announced Gjipe residents Brian Not Brian, Jan Schulte, Jamie Tiller, John Gómez, Lauren Hansom and Nick The Record will soundtrack the very unique Gjipe stage - a secluded beach forest sitting at the end of an impressive natural canyon that can only be accessed by boat. Complimenting the refreshingly unrushed music offering, Kala will once again be offering plenty of action away from the dancefloor, with a roster of excursions, wellness and fun holiday activities. Excursions this year include Paragliding above the Ionian, Gramma Bay boat trips where ancient cave paintings can be found and trips to the awe-inspiring Porto Palermo and Jala Bay - also via boat. Yoga classes, Gong baths and beach massages will be on-hand to sooth the mind and boost energy for another night dancing under the stars, and for those preferring to indulge in the crystal clear waters that flank the festival site, Kayaking, Pedalos, paddleboarding and snorkelling will all be on offer. A wide selection of onsite restaurants and bars will be keeping festival goers fuelled throughout the week, offering a range of delicious Mediterranean food, including plenty of mouthwatering locally sourced vegetables and fresh seafood - straight from the sea to the plate! From non-stop, action-packed fun to unusual extended sets by your favourite DJs, to sun-soaked beach days and ice cold cocktails, Kala Festival has something for everyone.